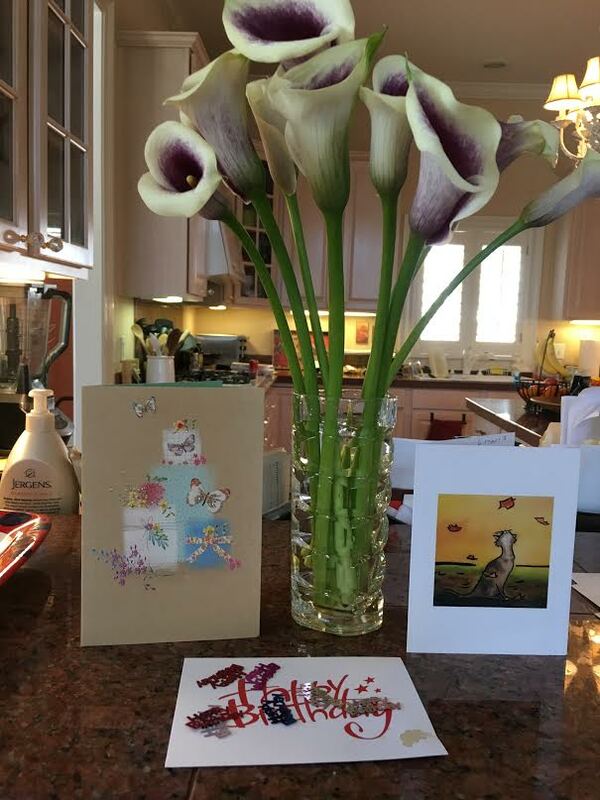 Woozies and Glam and Flowers, Oh My! 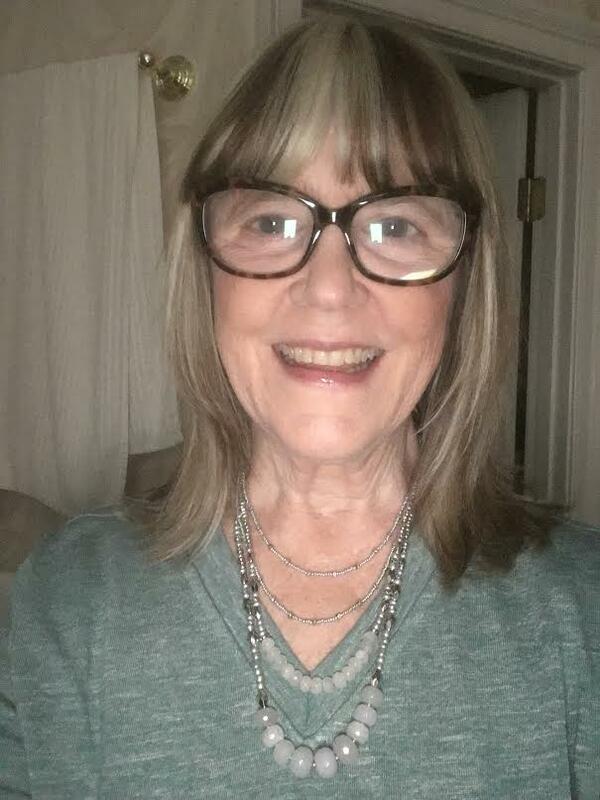 What a fabulous birthday I’ve had. Dinner out on birthday eve with my sweet hubby last night. Visits from several friends today. Packages and cards in the mail. Phone calls and text messages from children. And about 150 Facebook birthday wishes. I am feeling the love. THANK YOU, everyone! 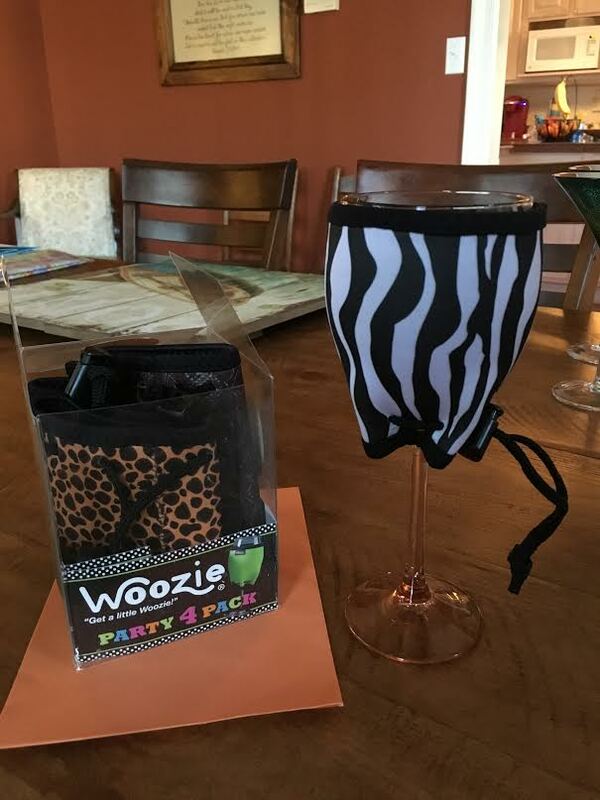 Woozies to keep wine cold, from sweet Madeleine and Damon. 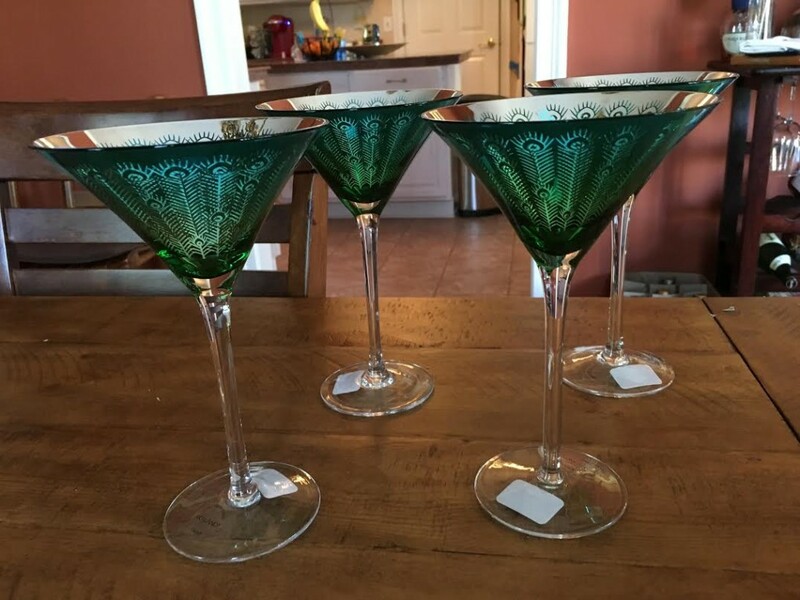 Peacock martini glasses from Beth and her family. Perfect. 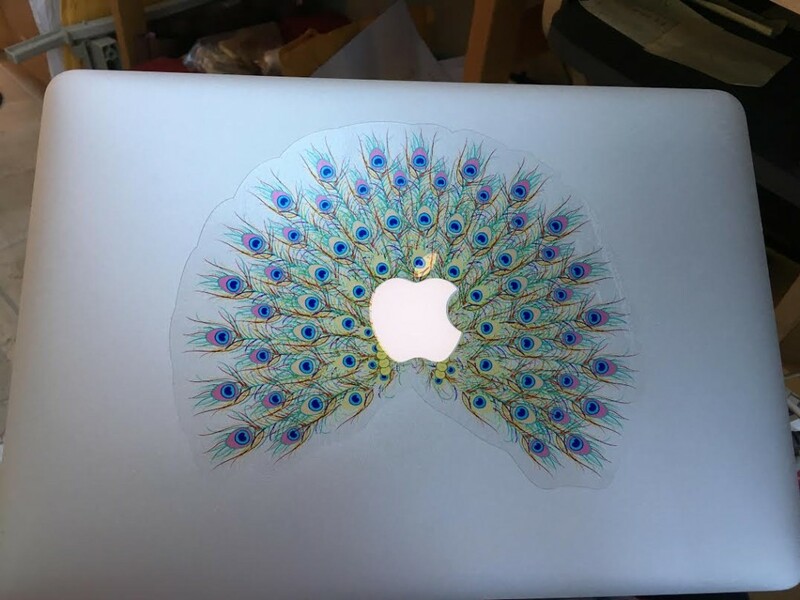 Peacock sticker for my new MacBook Pro, selected for me by almost 5-year-old Gabby. 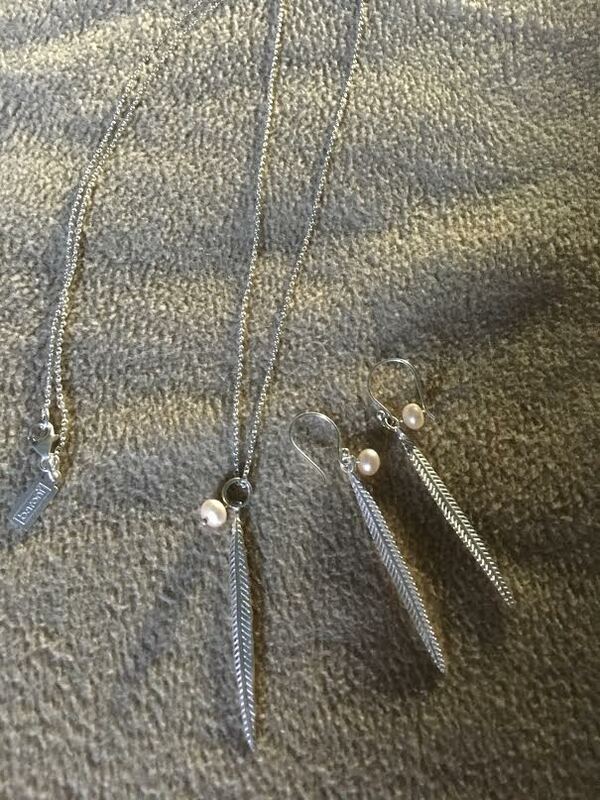 Beautiful JJill necklace from Jason and his familiy. They know my taste!